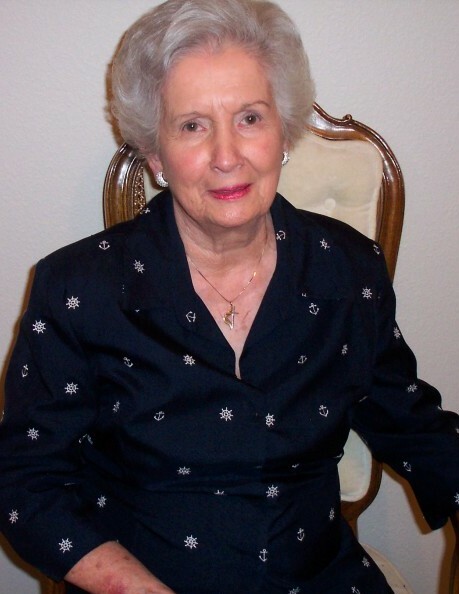 Mrs. Margaret Goff Criswell, daughter of the late Alva and Maxine Goff, was born April 11, 1931 in Morland, KS and passed from this Earth on March 19, 2019 in Midland, TX. She is survived by her devoted Husband of 67 years, Norman Criswell. They were a true team. Margaret was a wonderful wife, mother, and grandmother. When her children were young, many happy days were spent leading Brownie and Girl Scout Troops, teaching vacation Bible School, tutoring her kids, sewing, being room mother and always spending time with family. Margaret was a former lay minister of the First United Methodist Church in Hobbs, NM and a member of St. Luke’s United Methodist Church in Midland, TX. She also was a life time member of the Order of the Eastern Star, and the American Legion Ladies Auxiliary. She and Norman, who is past Commander of Odessa American Legion Post 430, enjoyed traveling with Legionaries to the National Conventions in Philadelphia and Hawaii and many other conventions around the country. Margaret’s career included positions in banking and accounting. She retired from Texaco after many years of service. During retirement Margaret and Norman enjoyed traveling to visit relatives and friends in Hawaii and all over the United States. Their love of family was so important to them and they always enjoyed the family reunions and backyard get-togethers that got the whole family together. After the arrival of their grandson Blake, they soon made the move to Midland. Margaret is also survived by 3 daughters, Louann Raley (Dan), Janell Criswell (Ray Foote), Jeanie Gaubatz (Steve Howenstein) and her granddaughter Autumn Jeseck and grandson, Blake Gaubatz. She is also survived by 3 great-granddaughters, Alora, Lily, and Ashlyn. Her brothers Ed Goff and Loyd Goff (Nina) and sisters Mary Vannicola and Lona Ball (Jim) survive her; as well as her sister-in-law Doris Davis and brother-in-law Larry Criswell (Geraldine) and a host of nieces and nephews and their families. Mother was preceded in death by her sister Virginia Ann Goff Wright and brother Floyd Goff. A celebration of Margaret’s life will be held on Monday, March 25, 2019 at Fairview Methodist Church, Beaver County, Oklahoma with burial to follow at the Madison Cemetery.